Its been almost 3 weeks since my last post and to be honest, I’m completely exhausted. My work and dragon boat obligations have kept me busy recently and I know what you’re thinking, dragon boat in WINTER? Yes, training for the 2013 season has already started and is in full swing. And with that thought I write this post as it is where I met these girls and have become friends since. 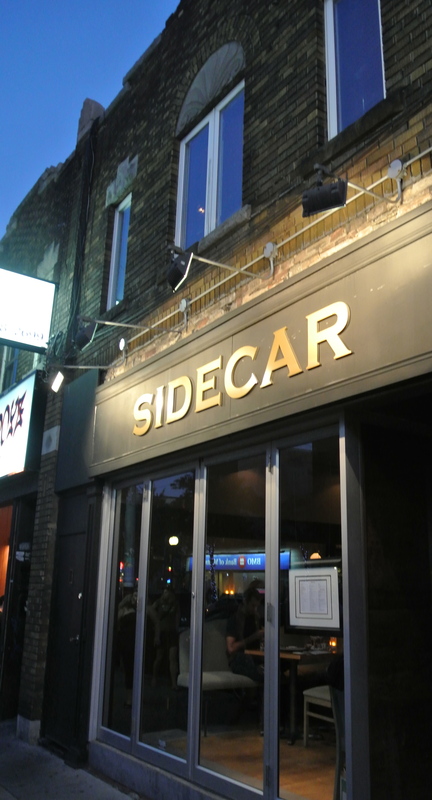 Sidecar, a small restaurant located on popular College Street in Toronto, was a restaurant my friend A had been wanting to go to for awhile. The front is very unassuming but the patio in the back is a fantastic hideaway with cedar side panels and a canopy. In my opinion, a perfect place to take a date. 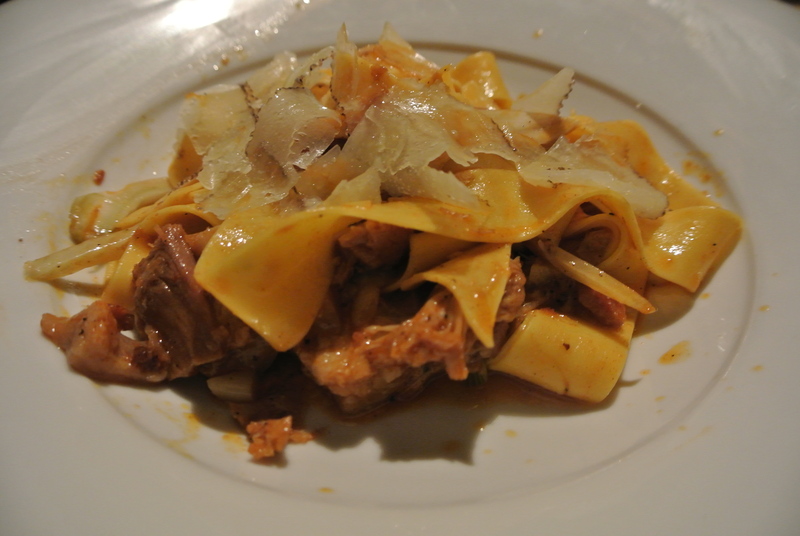 The menu does slightly change depending on the season but some staples will always be there, like the Steak Frites. The dinner was delicious and the company even better! 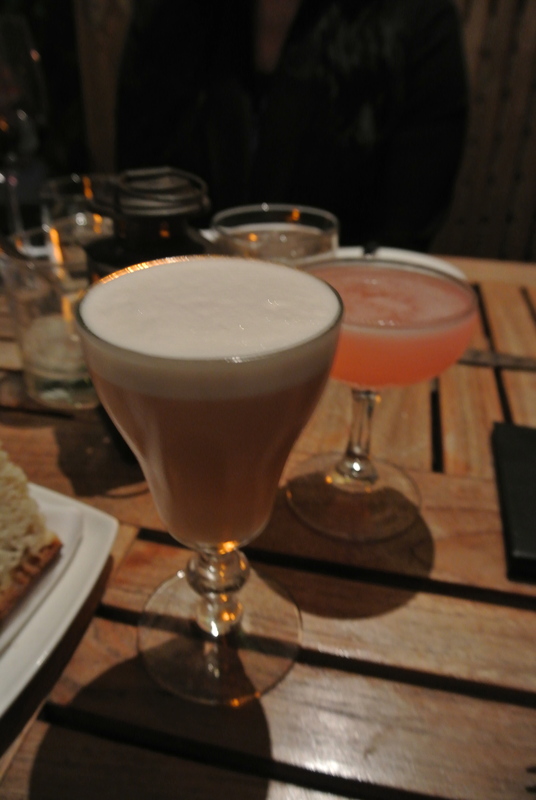 Some cocktails to start the evening! 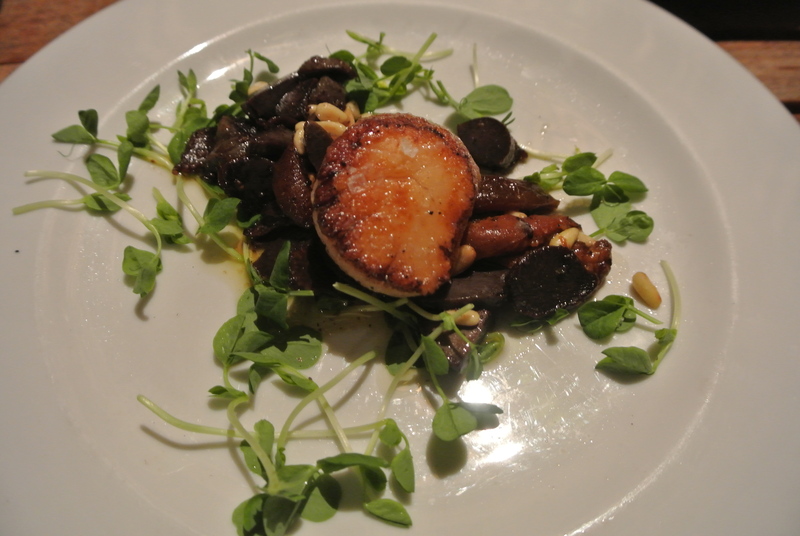 Appetizer special for the night – pan seared scallop over sauteed mushrooms. 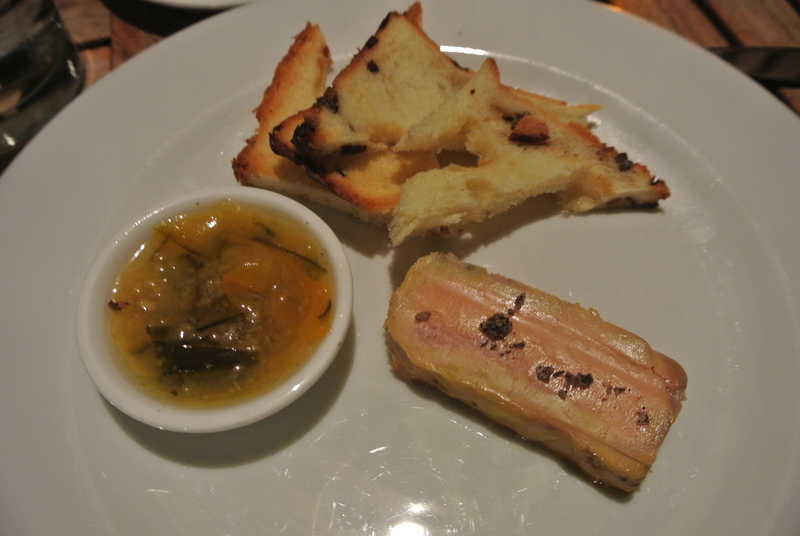 Appetizer #2 – Fois gras, compote and crostini. 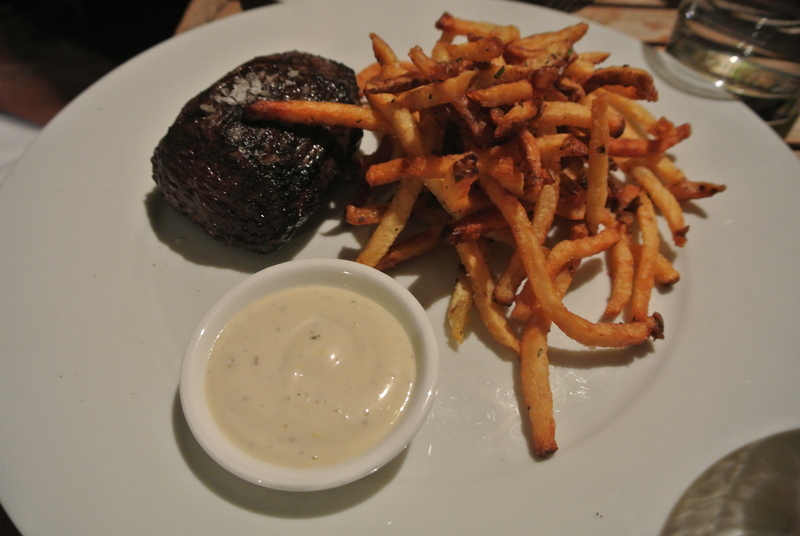 Steak Frites – the fries were the perfect thickness, shoestring! 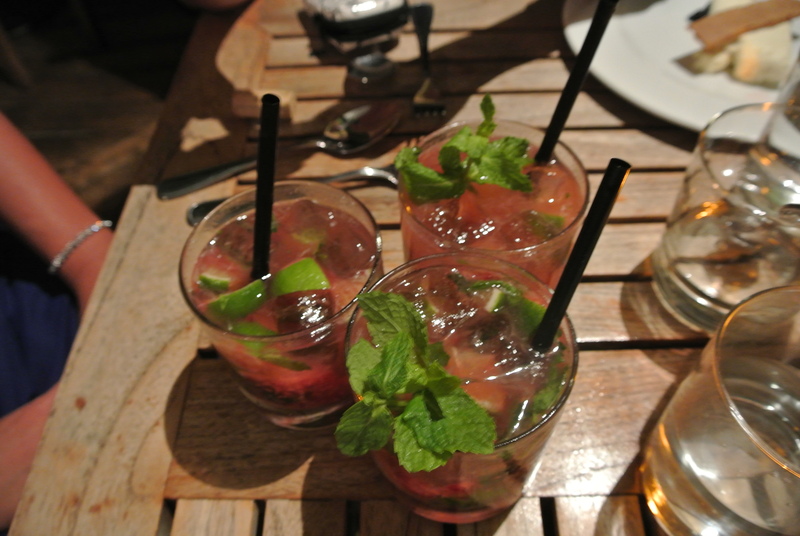 Strawberry mojitos! A nice ending to the “dinner” portion of the night! 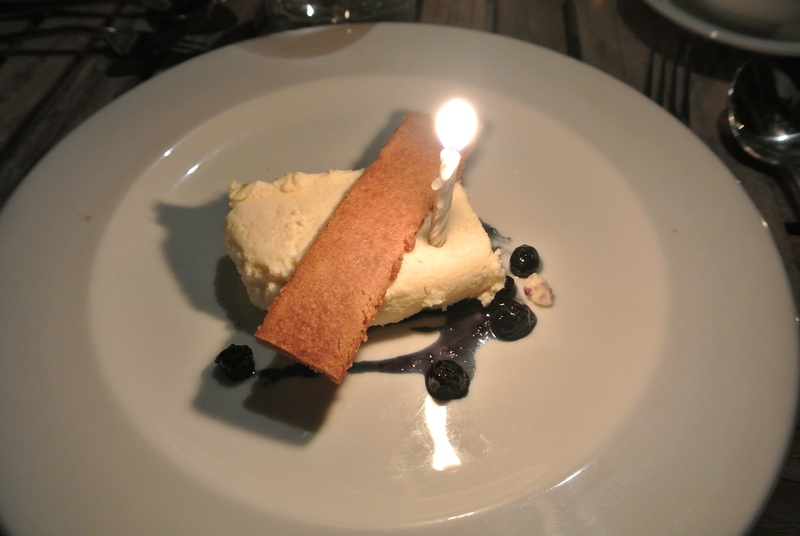 Dessert – a deconstructed blueberry cheesecake and a birthday candle to boot! 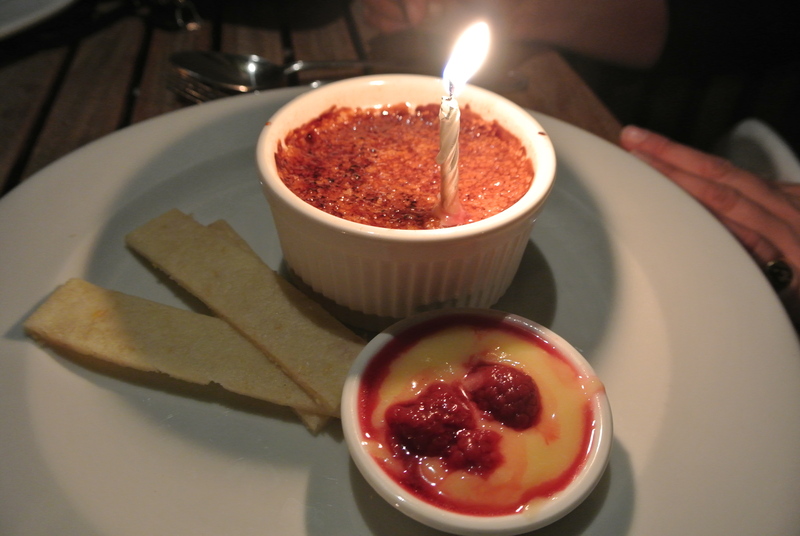 Creme Brulee with lemon curd and shortbread.